While there are a multitude of things that could affect your smile’s appearance, malocclusion (the state of tooth misalignment) is often the most worrisome. Not only do they cosmetically impact your smile, but they can also affect how your bite functions and how much pressure each of your teeth must endure. By straightening crooked teeth with custom orthodontic treatment, you can avoid these consequences while also improving your smile’s symmetry and appearance. At our office, we offer a choice of orthodontic options that fit each patient’s unique needs. For instance, traditional orthodontic braces are popular for younger children, or for older patients with severe cases of malocclusion. For older teens and adults, we may offer Invisalign® clear aligners, which provide a more convenient and discreet way to treat less severe cases of tooth misalignment. The goal of any orthodontic treatment is to optimize your oral health and your bite’s function by bringing your crooked teeth into proper alignment. With traditional braces, this is accomplished through the use of customized brackets that are bonded to your teeth and arch wires that gently move them. 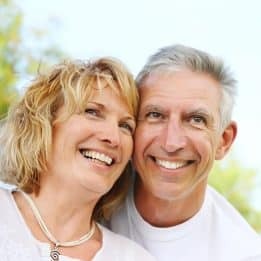 The procedure can take 1-2 years, on average, and upon completion, your smile will be significantly straighter, more attractive, and better able to function properly. By contrast, Invisalign® aligners accomplish the same results, but utilize a series of clear, strategically designed aligners instead of brackets and wires. You progress through treatment by changing the aligners for the next ones in the series every couple of weeks, and the aligners are virtually invisible for optimal discretion throughout the course of your treatment. Malocclusion, or crooked teeth, can have a negative impact on your long-term oral health as well as your smile’s appearance. To schedule a consultation with one of our experts, call the My Dentist office in Londonderry, NH, today at (603) 965-3407.